I’m not a fan of most quickie diet plans if long-term weight loss is what you’re hoping to achieve. Following a strict diet is often a direct route to yo-yo dieting. However, there are certain long-term lifestyle changes you can make today that will help you reap weight-loss rewards by the end of the week. 1. Make green tea part of your daily routine. The catechins in green tea have been shown to have a positive effect on both weight loss and weight maintenance. Not only that, but sipping throughout the day will also contribute to being properly hydrated, which is a well known factor to keeping your metabolism running at an optimum level. As if you needed more reason to brew a cup, adding tea to your day can help contribute to developing a mindful morning routine. You’ll be in a better mindset to stay on track towards your weight-loss goal, and take steps towards being your healthiest self. When adding in green tea, don’t forget to ditch the soda (diet included). 2. Get comfortable with a foam roller. Have you hit a weight-loss plateau even though you swear your workout routine is on point? To help drop your next couple of pounds, add stretching or foam rolling to your morning routine. Rolling helps flush out your lymphatic system, congestion, inflammation and stimulate blood circulation. Self myofascial release with a foam roller post exercise has been shown to increase the range of movement in your joints. Most people ignore their lymphatic system, but it needs to function efficiently for the rest of your systems to work well (including your bodies ability to release excess fat stores). Incorporate 10-15 minutes a day to begin. 3. Cut out sugar from your diet. Current research shows this one to be pretty much a no-brainer when it comes to shedding unwanted weight. Processed sugar is directly linked to inflammation in the body, and inflammation is linked to all kinds of health issues. Any excess sugar consumed will eventually be stored as fat. Not only that, but if you’re eating lots of sugar, there’s a good chance it’s in conjunction with unhealthy fats (hello frosted donut). Do a sugar cleanse. Cut out refined carbohydrates and obvious sugars (bye bye afternoon M&M’s and gummy worms), but also try to cut out any added natural sugars (think coconut sugar, honey and agave). 4. Prioritize protein and fat. Studies show that eating protein for breakfast may help increase your satiety (how satisfied you feel) throughout the whole day, and may even prevent you from reaching for those late-night sweet snacks. But, don’t stop at breakfast, get protein in at every meal. Fat also contributes to your satiety, and can even help you burn fat. While I don’t recommend going all out (control is key) be sure to get fat in consistently throughout the day (about 30 percent of your calories should come from fat). 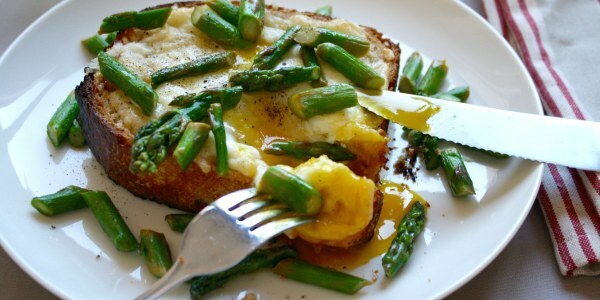 Eggs are a great way to start your day with a dose of protein and fat. 5. Mix up your meal prep. Or, start meal prepping in the first place! Dedicate an hour or two to prepping lots of roasted veggies on Sunday to eat throughout the week, or create something different than your same spinach salad you normally pack to bring to work every day (that you were already sick of two months ago). Packed lunches of Greek yogurt marinated chicken over my favorite slim slaw are calling your name. Pack snacks, too. Prepping, chopping and slicing all of your veggies before the work week starts will have you crushing afternoon snack time. For more advice from Keri Glassman, follow her on Instagram. And sign up for our One Small Thing newsletter.